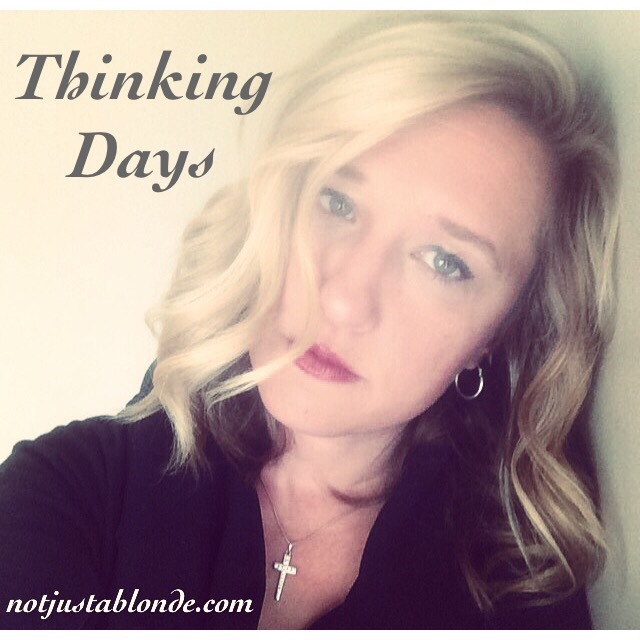 Some days are Thinking Days. These are the days when introspection is preferred over conversation. These are days when we are neither especially happy nor unhappy. Thoughts are collected, inspected and then released. Thinking Days find smiles slight and infrequent, yet deep sighs are plentiful. These days are often times when we can calm our minds and heal our souls. Thinking Days are not days to fear but to cherish. A day such as this is the time we retreat inside our minds to connect with the Spirit inside. Any day where I am not mentally challenged at work or in other activities is a thinking day for me. I think a lot and I think deeply and a lot of times I over-think everything. Sometimes it’s good, sometimes, not so much.